POSTED Friday, May 25, 2012 — Memorial Day Weekend is the unofficial start of summer, and at WDAV and in the Carolinas, it’s when the summertime music-making begins in earnest. We’ll kick things off this weekend with recordings we’ve made at great summer music festivals such as Spoleto Festival USA in Charleston, the Eastern Music Festival in Greensboro, and the Brevard Music Center and Summer Festival in the NC Mountains. You’ll also hear selections from other venerable classical-music festivals like Marlboro and Aspen. It’s the perfect accompaniment to whatever you have on tap for the holiday weekend. Celebrate Summer Music Festivals this weekend on WDAV 89.9 FM and online at wdav.org! 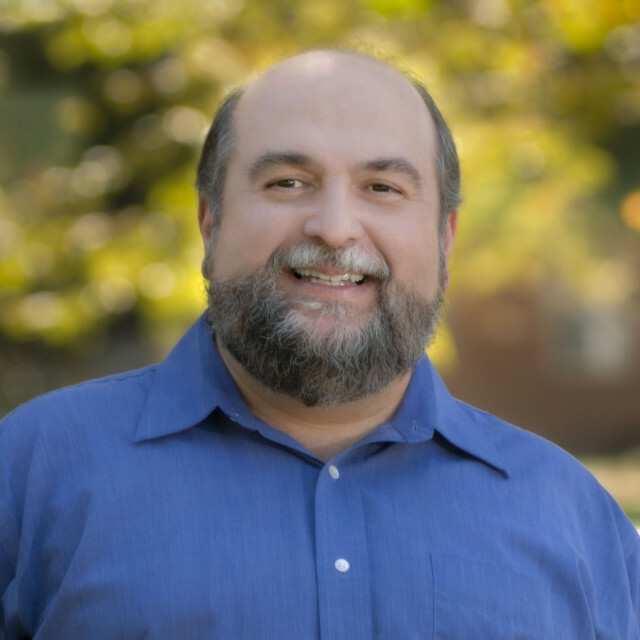 Posted March 9, 2012 – Radio Ink magazine has announced that WDAV’s Frank Dominguez is a finalist for two National Hispanic Radio Awards — Radio Personality of the Year and Programmer of the Year — for his work as producer and host of Concierto. Finalists will be judged and winners will be presented with the prestigious Medallas de Cortez at a ceremony during the Radio Ink Hispanic Radio Conference on March 21st in San Diego. “I’m humbled by the nominations – and shocked!” notes Dominguez, who launched the weekly show in October 2010. 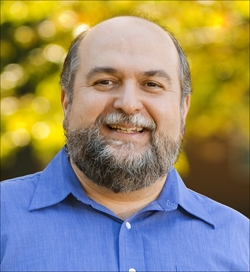 “The conference later this month will give me a great opportunity to meet other finalists, learn from their experiences and strengthen our young show.” Concierto, produced by WDAV Classical Public Radio, is America’s first nationally distributed bilingual (Spanish-English) classical music program that calls special attention to the contributions to the art form by Latin-American and Spanish composers and performers. It has received generous support from the WDAV Listen Live Fund, as well as the Knight Foundation and the National Endowment for the Arts. 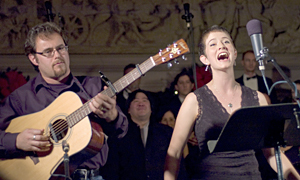 Concierto can be heard Saturdays at 10 p.m. on WDAV 89.9, and online 24 hours a day at concierto.org. The 24-hour stream is also available via any Android, iPhone, or iPad device equipped with the “WDAV Classical Public Radio” app. WDAV Classical Public Radio is one of America’s leading producers of original classical-music programming. In addition to producing 156 hours per week for its own broadcast use on 89.9FM, HD-1, HD-2, and wdav.org channels, the station produces nationally-distributed programs, including World of Opera, Concierto, SummerStages, and, in partnership with ETV Radio of South Carolina, Carolina Live. 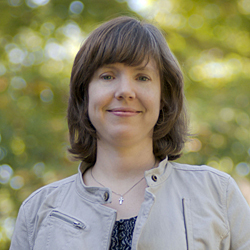 A service of Davidson College in Davidson, NC, WDAV’s mission is to make classical music accessible to everyone. The station’s 89.9FM signal reaches a 22-county region centered in the Charlotte, NC metro area and ranging from Rock Hill, SC to Galax, VA. WDAV’s broadcasts can also be heard live online 24 hours a day at wdav.org and iTunes, as well as on any Android, iPhone, or iPad device equipped with the “WDAV Classical Public Radio” app, or the “TuneIn,” “NPR Music” or “Public Radio Player” apps. POSTED February 29, 2012 – WDAV Classical Public Radio has made it easier than ever to enjoy classical music – especially classical music made in the Carolinas – from anywhere in the world. 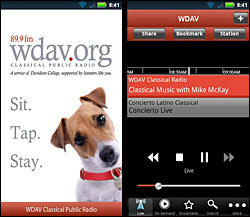 The station announced today the launch of Android, iPhone, iPod Touch and iPad apps that give access to live streams and on-demand selections of WDAV classical music programming. The WDAV Classical Public Radio apps are free and available today for download from the Android Market and the iTunes App Store. On all these devices, the WDAV apps offer listeners an easy way to live-stream either of WDAV’s HD channels— WDAV 89.9FM and the Spanish/English Concierto – as well as an ever-growing library of on-demand music and interview selections. This means WDAV fans can listen anywhere to WDAV’s regular weekly programs, as well as specials like the March 30, 2012 live broadcast of the Charlotte Symphony. 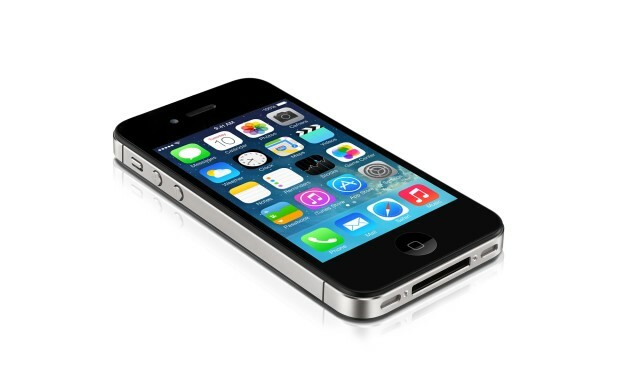 Using these mobile devices and the WDAV apps, listeners driving outside the Piedmont can enjoy WDAV by connecting to a car stereo via an auxiliary jack. Wake-up to WDAV using the app’s built-in alarm clock and sleep timer. Go to the Android Market, and tap the “Apps” section. Tap the Search feature (the magnifying glass). Type “WDAV Classical Public Radio,” and tap search. The WDAV app will appear in the search results. Tap the WDAV app link. A description of the WDAV app displays. Tap the “Install” button. Tap the “Accept & download” button. Wait for the WDAV app to be installed. Tap the “Open” button. You’ll see a welcome screen, then the app will automatically take you to the live-streaming page and launch the WDAV 89.9FM stream. Select the stream or on-demand selection, and start listening, bookmarking, and sharing your favorite WDAV moments! Return to the Android Market to rate the app and add any comments about your listening experience. Go to the App Store, and tap the “search” feature. Type “WDAV,” and tap Search. The WDAV app will appear in the search results. Tap the WDAV app link. A description of the WDAV Classical Public Radio app displays. Tap the “Free” button, and it will change to an “Install” button. Tap the “Install” button. Wait for the WDAV app to install. Return to the App Store to rate the app and add any comments about your listening experience. Lively features on community groups and arts organizations participating in the Ulysses Festival, airing each Wednesday and Friday at 9:30 a.m. and again on Saturdays at 11:30 a.m. The entire celebration culminates with a live broadcast of the Charlotte Symphony’s all-Tchaikovsky concert from the Belk Theater on Friday March 30th at 8 p.m. WDAV’s Mike McKay and Matt Rogers host, and the broadcast will feature backstage interviews with CSO Artistic Director Christopher Warren-Green and solo cellist (and 2011 TED fellow) Joshua Roman. Initiatives like WDAV’s Romance2Revolution would not be possible without the generous support of the members of WDAV and by WDAV’s Listen Live Fund. Contributors include Cynthia Tyson, the Jane Cooke Brynn Music Education Fund, the Estate of Debra Buggie and the National Endowment for the Arts. To learn more about WDAV’s Listen Live Fund, contact director of development Rodger Clark at roclark@wdav.org or 877-333-8990. POSTED December 9, 2011 – Pity poor Beethoven. Like so many December babies, his birth anniverary on the 16th can get lost in all the holiday musical hoopla. But to honor dear Ludwig and to assure he gets his due, WDAV is pleased to present once again, B24 – the Beethoven Birthday Marathon. There’s no cake or streamers – but there is a 24-hour party for the Birthday Boy! 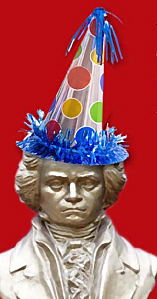 Listen between midnight December 16th and midnight December 17th for B24 – the Beethoven Birthday Marathon on WDAV Classical Public Radio at 89.9 FM and wdav.org. WDAV’s Matt Rogers hosts this yearly live broadcast, featuring David Tang’s thrilling vocal ensemble VOX, joined by other area choirs and musicians. The Letourneau organ adds to the festivities in the richly resonant sanctuary of St. John’s Baptist Church in the Elizabeth neighborhood of Charlotte. This event is FREE. Friday, December 2, 6-8 p.m.
It’s Christmas in Davidson – that lively festival that takes over Main Street for all things seasonal. 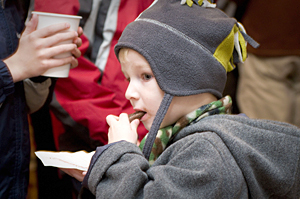 WDAV joins with our neighbors on Friday evening for a family-friendly holiday celebration. Stroll down Main Street to the WDAV Studios to enjoy caroling on the front porch, warm beverages, studio tours with your favorite WDAV personalities and more. This event is FREE. Saturday, December 3, 7:30 p.m. & Sunday, December 4, 3:00 p.m.
A 45-piece chamber orchestra from the Winston-Salem Symphony, conducted by Robert Moody, performs Christmas music from the eighteenth to twenty-first centuries. The program features the Winston-Salem Symphony Chorale with guest soloists Kathryn Mueller (soprano) and Diana Yodzis (alto) performing Beethoven’s Symphony No. 1 in C Major, Vivaldi’s Gloria, Mendelssohn’s Christus and more. For more information and tickets, call 800-441-5305. WDAV broadcasts a live recording of this concert on December 23 and 24. It’s another live broadcast holiday tradition from WDAV, this time hosted by WDAV’s Mike McKay. Soprano Abigail Haynes Lennox’s crystalline voice has thrilled audiences in the Carolinas with her performances ranging from high Baroque cantatas to traditional Appalachian folk tunes. She’s front-and-center with the Seicento String Band (led by former Charlotte Chamber Music Artistic Director Henry Lebedinsky) in a program of French, Spanish and Scottish Baroque holiday music. This event is FREE. We hope you’ll spend your Thanksgiving holiday with friends, family… and WDAV! We’ll accompany your festivities with the best classical music from the Carolinas and beyond — including these special programs. Don’t miss a minute – turn to 89.9 FM or wdav.org! Giving Thanks: A Celebration of Fall, Food & Gratitude. Music and words are brought together in a thoughtful reflection on the meaning of the holiday. Two best-selling writers join the table this year: Nora Ephron and Roy Blount, Jr. Classical music is the heart and soul of Giving Thanks, and this year’s selections include classics from Bach, Copland and more. Thursday, Nov. 24, 3-5 p.m.
Rebroadcast Sunday, Nov. 27, 3-5 p.m. Performance Today Thanksgiving Edition. Fred Child brings us a holiday edition of the weekday concert program that features live performances from across the country for this American holiday. 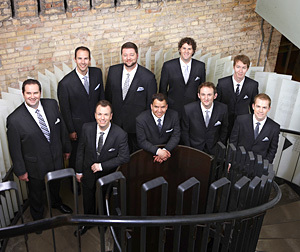 Thursday, Nov. 24, 5-7 p.m.
Thanksgiving with Cantus. Join Cantus – one of America’s most accomplished vocal ensembles – for a special Thanksgiving program. Thursday, Nov. 24, 7-8 p.m.
Rebroadcast Sunday, Nov. 27, 6-7 p.m.
On Wednesday afternoon, November 9th, at approximately 2 o’clock, WDAV and all other licensed broadcasters will participate in a national test of the Emergency Alert System. The test will last for approximately 30 seconds and is being coordinated by the Department of Homeland Security and affiliated agencies to assure the public of the system’s effectiveness. If you’re listening at the time of the test alert, please be advised – it is only a test! For more info, visit the Federal Communications Commission website.